Co-Founder and engineering lead at @citypockets and ReclipIt. @cornell-university CS grad; Worked at @ibm. Product Manager at Facebook, Meetup Co-Founder and former CTO / Head of Product, former CTO at Loosecubes. Technologist. Geek. Banjo player. Founder Volume11 Media. @y-combinator W06. Worked at @amazon, @nvidia , @microsoft. Studied at @carnegie-mellon-university. Invented Mob Wars. Co-founded @metamoki. Angel investor here and there. Founder @hyperscience Founder @instinctiv (sold to @soundcloud). Co-Founder of @familyleaf (YC W12). Previously at @hunch. 18 years old and youngest Y Combinator alum. Currently on a leave of absence. CEO of @apptopia, hacker, serial entrepreneur, 1st software startup out of HS, founding team of several startups, EIR @greatpoint-ventures, BU dropout. Formerly at Bloomberg, Virgin Charter, Splunk, Looksmart/Zeal, and NASA/JPL. Strategist/Startup Advisor/Angel Investor. Led strategy at CollegeBoard. Co-founded mgmt consulting firm. Education product/market fit & digital growth. Founder of Craft Coffee. Built WhatIsFresh.com for fun. Full-stack developer. Co-Founder @daily-boards. Formerly at @meetup and @flurry. Founder @SolidX. Founder @Bitbitrage LLC: Crypto prop trading. Functional programming expert. Worked @JaneStreet in tech. CS engineering @ Penn 2004. Full stack engineer, Tech PM, founder experience. Electrical Engineering and Premed at @university-of-pennsylvania. Co-Founder, Head of Product @tailwind. Data-Nerd, Product Guy, Coder, Designer. Obsessed w/ Building Products that Visualize and Harness Data. Cofounder @kartel. Lead engr at @flurry, SignalPatterns. Sr engr/engr at @ibm-research, @recyclebank, VoiceVerified, @morgan-stanley, @nuance, @syncsort. Co-Founder & CEO of @thinkful. Founder of @perpetually, acquired by @smarsh. Previously, quant in StatArb. @columbia-university for Art History & CS. Co-founder & CTO at @locality-1. Led engineering / product at four different startups. Econ and CS from @university-of-california-san-diego and coding from age 10. Co-founder at @StartupInst. Associate at @techstars. @georgetown Hoya & Entrepreneur-in-Residence. Founder @pixlee, @startx alum, hacking since middle school. Have done work in financial services, web software, telecom, music, and apparel. Building the technology and team at @keen-io as its CTO and co-founder. Spent 5+ years building APIs at salesforce. CS undergrad at UIUC. IMSA! CTO @cmp-ly - Experienced start-up tech/product guy that turns ideas into products. Ex-Googler at @google Maps, PhD @university-of-pennsylvania on compilers & security, MSc on algebraic geometry. Creator of a beautiful programming language, coding in OCaml everyday. Founded Nexopia.com. Invested in a few startups. Work at Google.org. Worked at Spotify. MSc in Computing Science. optimist, autodidact, dad. founder/CTO at @gamechanger-media. Web Software Architect, CTO @leanlaunchlab, Co-founder of @prescreen, 10+ years of experience in both engineering & product development. CTO and co-founder at @smartasset. Background in software development for high-frequency finance/trading systems, mobile (web, SMS) and consumer-web. Developer at Fayceoff. Worked at SocialCubix as lead developer, developed @facebook application and Webs. I write software, support developers, and build community. Co-founder of @opbandit. Created Data Science group at @livingsocial. Formerly at Washington Post. Engineer, Data Scientist, and recovering Bioinformatician. CTO and Co-Founder at @cardflight. A committed and focused software entrepreneur with over 14 years of technical, business, and management experience. Director of Web Engineering @mongodb-inc Founder @locably. Brooklynite, Venezuelan and Pythonista. Co-founder of @evomail. Formerly at @boxcar. Moving faster than you. Aggressive but humble. Love family, motorcycles and being an entrepreneur. Call me anytime, 316-259-8554. Sentient being. Husband and father. VP of Engineering @NextBigSound. CTO @LotusOutreach. Devops practitioner. Influential about Unicorns. Software engineer @flatiron-health. Formerly lead engineer @spotify, staff software engineer @google. Well-rounded full stack eng, @harvard CS '06. 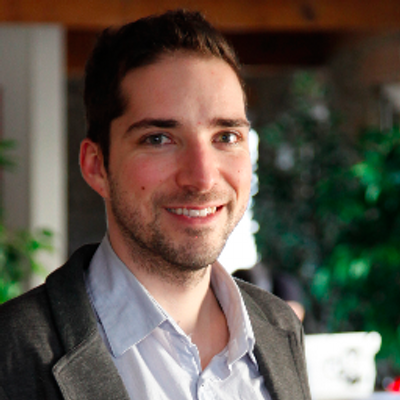 Co-Founder of @sensobi, acquired by @groupme, now part of @skype. Code shipper who understands the value of business. Co-Founder and CTO of @fun-org. Formerly at Occipital and @collaborate. Software Engineer at TellApart. Prev. Co-founder & CTO of @adstack-1. Led Realtime Streaming at @capital-iq. FSE, Sys. Architect, Dev/Ops. I am the Co-Founder & CEO of Hourly.com. Worked at The Motley Fool, Match.com to name a few. Technical founder. Node.js and Rails developer. Recent dropout. Mobile, iOS/Android Tech or Team Lead. Also very strong in both UI /Product development and CS/Algos. Co-founder @rockerbox. Former Product Manager and early employee of AppNexus. Founder of @meevl. 1st software startup during high school. Entrepreneur, internet media, news and communication enthusiast. Founder at @customer-io. Former Head of Engineering at @challengepost.com. Founder of a new web/mobile real estate startup. Strong advertising & tech background (@kontera, @microsoft Advertising, @ogilvy). Product development & design. Curator of #DigitalMarketing & #Entrepreneurship. Reignited passion in #TableTennis. Loves #NewYorkCity and #Austin. Expert iOS developer. Created app for Patch, improved Barnes and Noble, Huffington Post, iHeartRadio. Highly focused on User Experience improvements. Technical cofounder. Branded content editor for Bustle, previously Mashable & Flud. Founder at @apollo-vibes @soundtap. Machine learning and infrastructure at @google. BSE in CS at Michigan, MS in CS at Texas. NSF Graduate Research Fellow. Former startup CTO looking to build something new. Experience in quantitative finance and product management but love getting my hands dirty. Founder, Minimum Viable Fitness. Previously: 3x Founder, EIR Aol Ventures, Morgan Stanley, and Author. Investments for @hvf and @mlevchin. Co-founded SFAP and Everybit. Software engineer for AppNexus and ZOFASH. Active open source contributor. Programmer. Love building beautiful and useful products. Formerly #4 at Codecademy and support engineer at Twilio. Taught physics and neuroscience. Graduate student at Columbia University with experience in Fraud Risk. Interested in Quantitative analysis and Machine Learning opportunities. CTO of Vetr. Entrepreneur and technical architect for startups. Expert in building scalable web applications with modern technologies. Masters in Computer Science, University of Chicago; B.A. Columbia University; web dev/mobile programmer, passion for technology and the arts. Instructor at GA, Architect, UX, Rails and database developer. Lead dev at Lucid Fusion and Enlightened.org, Chapman MBA, and has worked on 4 live startups. Engineer at Foursquare. Lover of the startup (especially early stage). Full stack engineer. Worked at Microsoft. Carnegie Mellon CS and CE. I cut my teeth at @ning and @atlassian before moving into my current gig: frontend consultant focusing on web performance, accessibility, and best practices. Studied Math and CS at Dartmouth. Member of Hacker School summer 2012 batch. Currently working at Etsy as a software engineer. Founder of Powhow, Handipoints, and Transplay. Worked at Slide and Google. Computer Science degree from Duke. CTO at @assured-labor leading engineering of a multinational startup. Formerly a Software Architect at @kiva-systems (employee #15, 7 years). Kiva was acquired by @amazon.com in March 2012. Founder of @filtered. Head of Solutions Eng - @shift-1. Helped close multi-MM deals with F100 brands & top agencies. Entrepreneur. Advisor. Get-it-done-er. Co-Founder and CTO of MakeOut Labs. JS/Meteor developer. Previously co-founded Zigfu (YCombinator S11) and Course Zero Automation. physics degree from MIT. Self-taught developer and entrepreneur. Currently, product manager at Blue Apron. Experienced software developer and technical lead in consulting (@thoughtworks) & finance (@drw-trading). @oxford-university '99. Full stack developer who left behind a life as marketer and analyst. Worked at @ga, @uship-com, @tablet-hotels. Startup Engineer @fitocracy, Former Engineer @buzzient, Ex-Tech Founder @my-ivy-leaguer. I like to build things. Full stack generalist; focus on Mobile web & iOS Development; 2 successful apps in App store and 2 more in development; keen eye for design & UX - I get things done. Software Engineer at @general-assembly. Recent Economics, Film @georgetown-university graduate. Third Culture Kid (TCK) filmmaker. Co-Founder/CEO of @instinct. Hacker, marketer, Harvard '04. MS student at NYU Courant focusing on machine learning and statistics. Developer at Knewton. Former research assistant at Federal Reserve Board. Builder of Walls, Breaker of Them. I connect data to decisions to execution. Founded @festsy. CS grad and MBA. Worked at @yipit, Fundspire, @veronis-ventures & Citi. Creator of the official Timeflies iPhone app (http://www.thetimefliesapp.com/). @venmo iPhone team member. Founder of @awesometalk. Creator of open source projects. Past hacker in startups, finance, and defense. Data Dude who loves working with data and working with and/or creating bleeding edge tech. Software Architect at Accordant Media; interested in fault-tolerant distributed systems and functional languages. UI Engineer at @meetup. Interactive Team Leader at Design Museum Boston. Masters from ITP at @new-york-university University. Software Engineer at Qwiki, Rubist, UoR ECE MS.
Software Engineer with honours in NLP. Strong finance background and have worked in algorithmic & high frequency trading. Co-Founder of @marquee. Developing on the web before it was cool. Ran a client-side development agency for three years. ISPs, Advertising, @techstars-1, The U.
I'm a computer scientist. I'm a mathematician. I can do everything thing from conception to elegant implementation in production. I am in iOS developer in NYC. I have over 4 years of full-time experience working on native iOS apps as both a lead and collaborating developer. Software Engineer @ Pinterest, former YouTuber, Googler, Yahooer, more focused on front-end and user acquisition. College drop out, founded and grew a consulting company, experienced team manager with one hand still in the code. Experienced Product Manager with a heavy mobile automation background. Japan born, Indian, living in NYC. @new-york-university Alum. [email protected] #hackstar, [email protected] mobile dev. Currently helping build @loudie. 日本語 OK!